No matter where you are in the buying process, whether you are just beginning to look for concrete hoses in Orange County CA or you are ready to buy today, ASJ Industrial Hose & Fittings is here to help. With decades of experience and a specialty in this industry, there is no better company to help with all your concrete hose needs. Keep reading to find out more about the various products we have and then reach out to us in person or by calling (951) 735-1351. Sure, you can purchase concrete hoses in Orange County from other companies but with our specialty in this business, there simply isn’t a better company to work with. We have been proudly serving the South Bay community for decades and have learned how to best service local customers, how to ensure we have the best products available, and that we are able to offer competitive prices. No matter what your needs are, we can help. 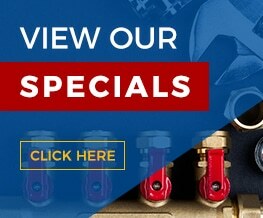 Reach out to us today to learn more about our options in more than just concrete hoses. 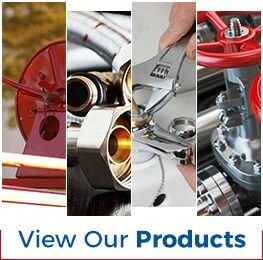 There are many reasons that you want to work with ASJ Industrial Hose & Fittings. Not only do we have the entire line of top of the line Continental ContiTech rubber hoses, but we have man other options. No matter which brand is right for your job, you can count on the fact that we have it. We are driven to satisfy each customer and we will do everything we can to help you. We work tirelessly with two main goals: Fulfilling your order correctly and fulfilling your order on time. Our 20,000-square foot facility makes it easier for us to complete these promises. With so much space, we are able to have a huge inventory that means you can often call us, ask for a part, and have it ready for pickup by the time you get here. We can also ship many of our products immediately. In the event you need something that we don’t have in stock, we will order it for you and get it to you as soon as possible. With our extensive experience in this industry, we know not only the best concrete hoses but the best accessories as well. For example, we can help you find the right clamps to stabilize your hose configuration. No matter the size, material, strength, or design you’re looking for, it’s likely that we have it on hand. Some of our inventory includes clamping tools, strapping, center punch, worm gear, and stainless steel. If you are in need of any type of clamp, please reach out to our experienced employees so we can talk about your needs and find the right clamp. Are you ready to learn more about how to get the concrete hoses in Orange County you need? We are proud to have been in this business long enough to know the priorities of our clients. We know that you need your order first and foremost to be accurate. We also know that you need it on time. This is why we communicate with our clients at every step of the way to ensure the price, timeframes, and orders are correct. If you’re ready to find out how we can help with concrete hoses in Orange County then we encourage you to contact ASJ Industrial Hose & Fittings at (951) 735-1351 today.